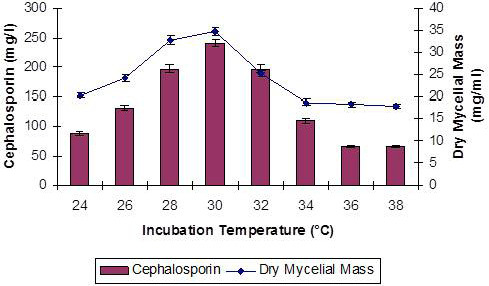 Optimization of the incubation temperature for the production of cephalosporin by Acremonium chrysogenum in shakes flasks. All the values are means of three parallel replicates. Y-error bars indicate the standard error from mean. 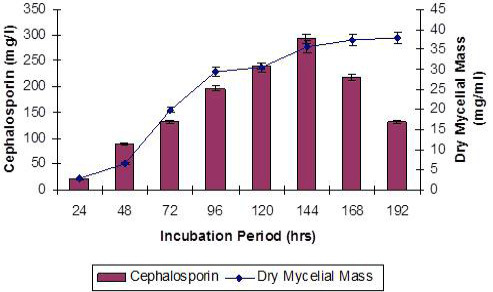 Fermentation conditions: incubation period= 144 h.
Optimization of incubation period for the production of cephalosporin by Acremonium chrysogenum in shake flasks. All the values are means of three parallel replicates. Y- error bars indicate the standard error from mean. Fermentation conditions: incubation temperature = 30°C, initial pH = 6.6. 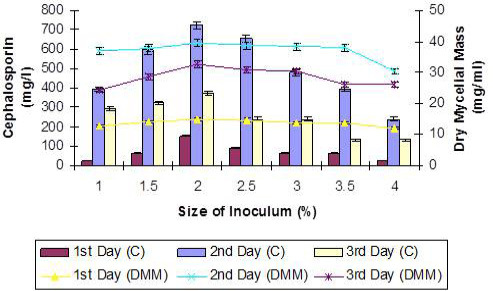 Effect of the initial pH of culture medium on the production of Cephalosporin by Acremonium chrysogenum in shake flasks. All the values are means of three parallel replicates. Y-error bars indicate the standard error from mean. Fermentation conditions: incubation period=144 h; incubation temperature = 30°C. 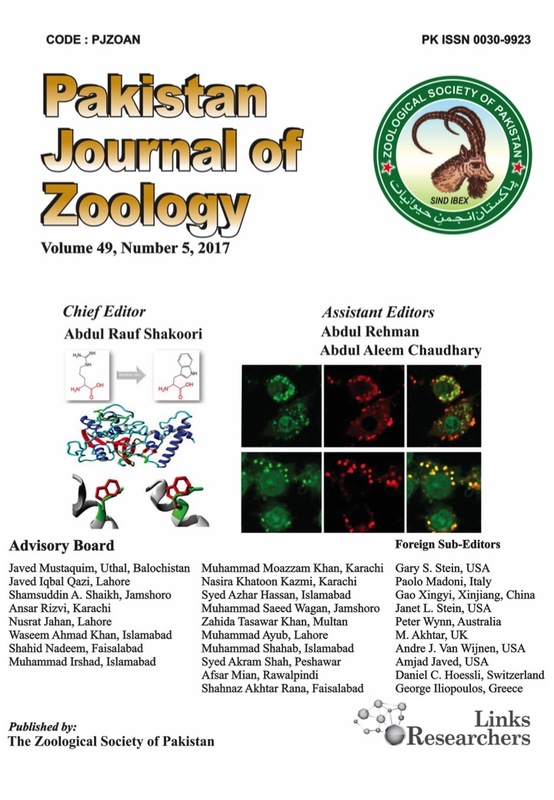 Effect of inoculum of various sizes and ages on the production of cephalosporin by Acremonium chrysogenum in shake flasks. All the values are means of three parallel replicates. Y- error bars indicate the standard error from mean. Fermentation conditions: Incubation period = 144 h; incubation temperature = 30 °C; pH = 6.5. 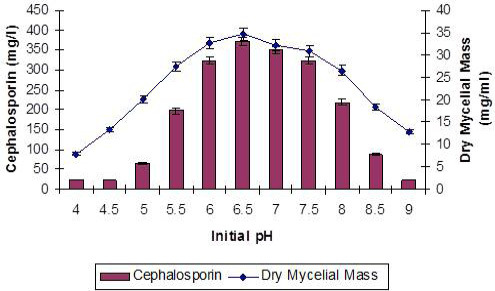 C, amount of cephalosporin; DMM, dry mycelial mass.